Khaki, a must have colour, not only for this Spring but a staple in your wardrobe, usually associated with the military trend. It's a dirty green colour that's not too dark or bright, wearable compared to any other shade of green and will suit everyone. Checked my wardrobe before writing this and I realised I have a few khaki items like a cardigan, shirt, jumper and my recent purchase my bomber (below). I did have a pair of trousers, but tossed it out last year, something I will need to invest in one day. 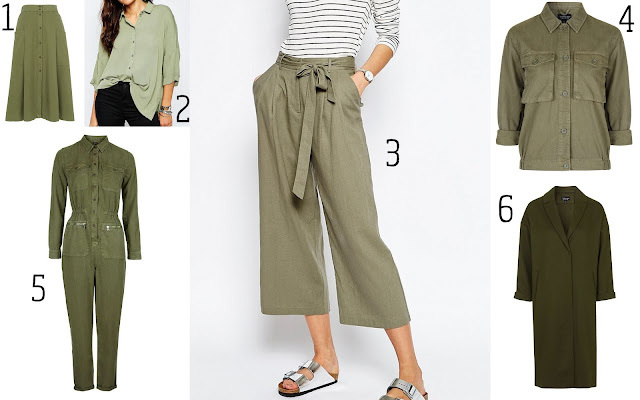 I always see khaki as an Autumn colour, but it's been everywhere in the shops this Spring, take a look at my favourite buys below. 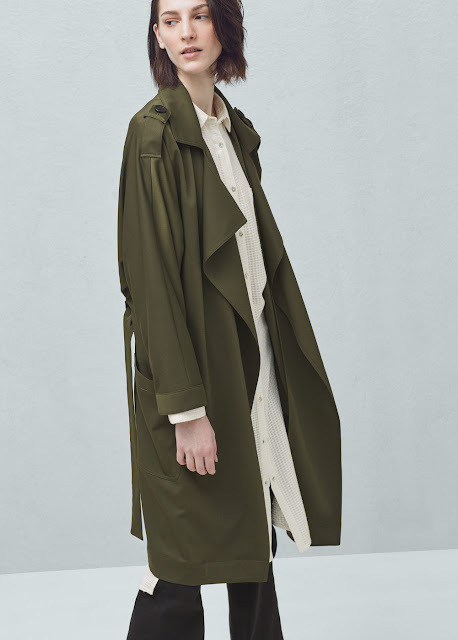 I love this trench coat from Mango, modelled on Kendall Jenner in her recent Mango campaign, perfect for any season. Outerwear or a khaki shirt would be the best investment to make, versatile and easy to throw on. The khaki trousers are also another great investment, comes back year after year and so easy to style. 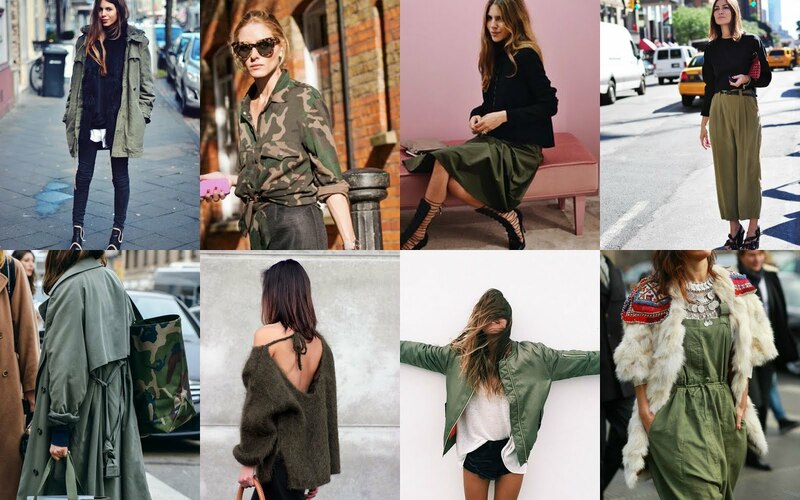 Below are a few images from Pinterest, I have also added a new board on Pinterest called Khaki if you would like to check out more inspiration on different ways to wear the colour.